You are currently browsing the archives for the Karin Housley category. Sunday night, she didn’t attend the KSTP debate. Smith insists that she’s a great listener. That’s impossible to believe when she consistently doesn’t show up for debates or doesn’t answer easy questionnaires. Not filling out that questionnaire is disrespectful. Does Tina think that she doesn’t need to answer to the people? Apparently. 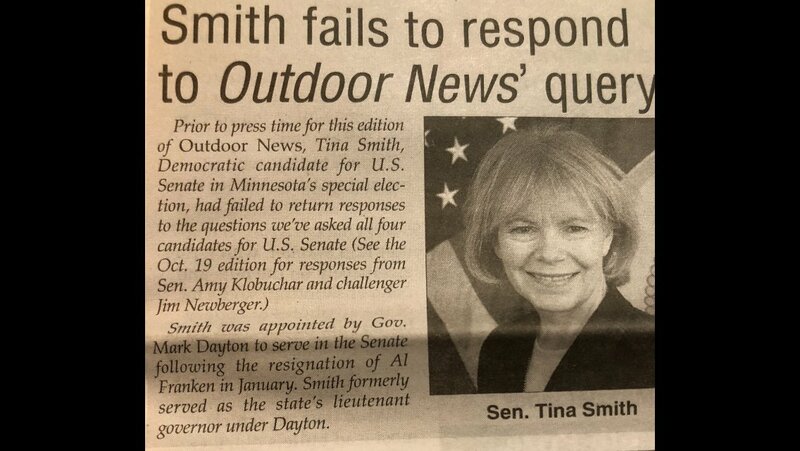 At some point, Tina Smith will be rightly labeled an elitist snob who doesn’t thinks she has to answer to the people. It isn’t difficult to argue that you aren’t a listener if you ignore opportunity after opportunity to respond to constituents. That’s what Tina Smith is doing. Let’s remember that she doesn’t have a gigantic lead. Tina’s lead is within the margin of error. Acting like she’s got this wrapped up won’t help her image. Frankly, I don’t know why Gov. Dayton picked Tina to replace Al Franken. It isn’t like she was the Democrat with the most impressive resume in the state. This is a race to watch. Karin Housley is running a great campaign and is gaining ground fast. If Tina Smith keeps acting like she’s already won, she’ll soon be delivering a concession speech. In their Our View Editorial endorsing Karin Housley, the Duluth News Tribune included a quote from Tina Smith, Karin’s DFL opponent. 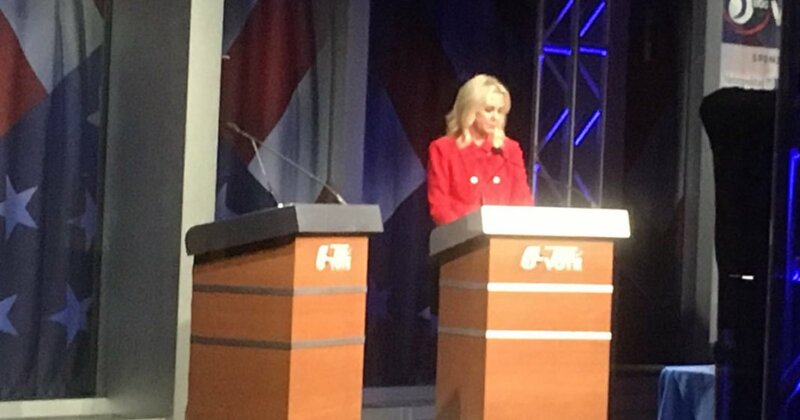 Karin Housley respected Minnesotans by showing up and answering questions. She has legitimate legislative accomplishments. Tina Smith is just another politician hoping you won’t notice that she’s ignoring you. Minnesotans are smarter than that. I’m betting you’ll notice and make Tina Smith pay for her elitism. Tina Smith isn’t as awful as Al Franken. (We haven’t heard that she’s groped anyone.) Still, she’s a do-nothing politician who needs to be defeated on Nov. 6. Actually, the do-nothing characterization requires an asterisk. When it comes to investigating President Trump’s nominees, she’s a passionate activist for action. Tina Smith has campaigned with and endorsed Keith Ellison. Ellison is so far out there that President Obama won’t endorse him. Think about that a second. Tina Smith is farther left than President Obama. The former Divider-in-Chief steers clear of Ellison. Ellison announced last week that he would request the House Ethics Committee look into the accusations he faces. He told BuzzFeed, “I am taking this step now because I am innocent and eager to see this entire matter resolved.” Minnesota’s Democratic-Farmer-Labor Party is currently awaiting the findings of an independent investigation it launched two months ago. But Housley, who is challenging incumbent Sen. Tina Smith (D-Minn.) in the Nov. 6 election, says those investigations are inadequate. “Recent calls for a congressional ethics investigation, made by Keith Ellison and echoed by my opponent, amount to nothing more than political cover,” she said in a statement. “Ellison will have left Congress by the time an investigation could be completed. 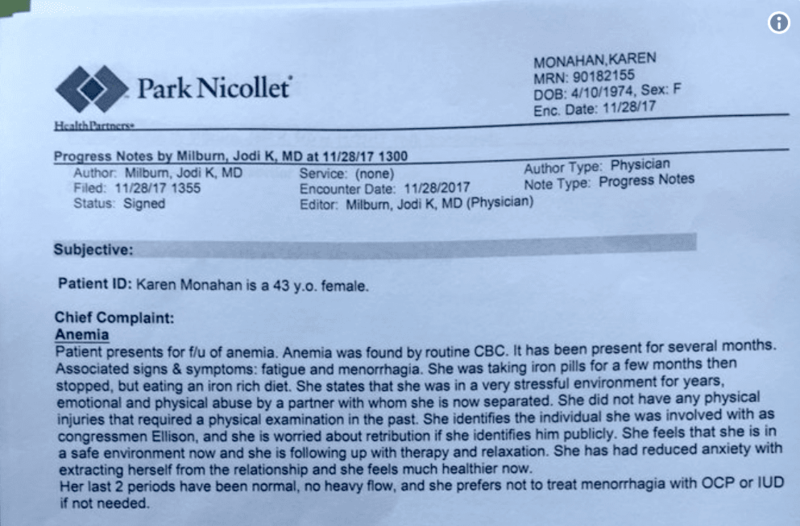 “These are serious, recent and substantiated allegations that deserve immediate attention and raise significant doubts about Keith Ellison’s fitness to serve as Minnesota’s chief legal officer,” Housley added. Ellison calling for an Ethics Committee investigation is a sham. In other words, it’s like Ellison. Anyone that thinks that this would be a real investigation is kidding themselves. Tina Smith is satisfied dragging her feet to help Keith Ellison. If she’s going to call for a full-fledged investigation into Judge Kavanaugh, she should demand the same of Ellison. Otherwise, she’s just another do-nothing political hack. Don’t let anyone kid you about Karin Housley’s chances for victory 5 weeks from today. Running against Tina Smith is a tough challenge. Running against Smith and her millstone, aka Keith Ellison, give Sen. Housley a better shot than just running against Smith. I’m not overstating things when I state that Keith Ellison acts like a millstone around Tina Smith’s neck. 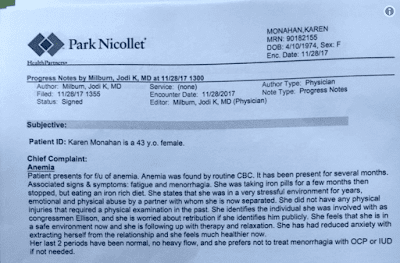 Ellison will continue to be a millstone around Smith’s neck as long as Smith doesn’t distance herself from Ellison. Housley brought up a good point when she said that Smith is still campaigning with Ellison because Ellison “categorically denied” the charges. Then Housley highlighted the fact that Judge Kavanaugh categorically denied the charges against him, too. What’s the difference? 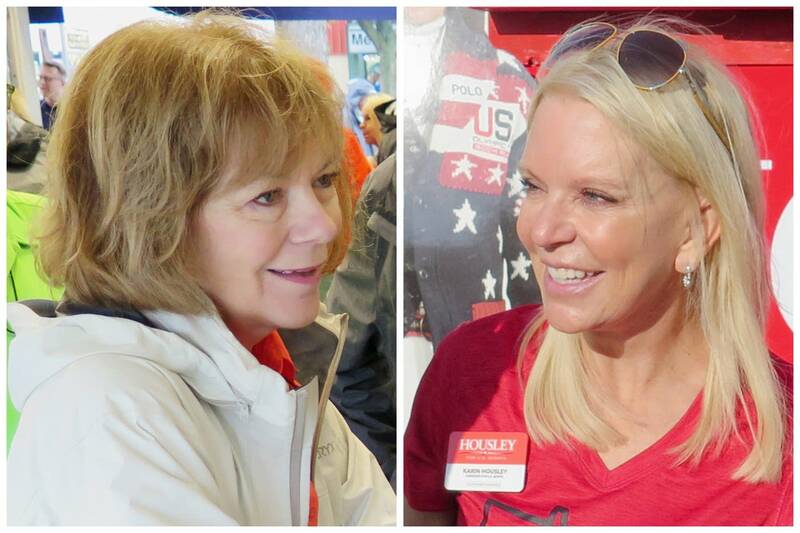 The truth is that Karin Housley isn’t running against Tina Smith. She’s running against Tina Smith and Keith Ellison. Factor in the Trump Frenzy effect, too. 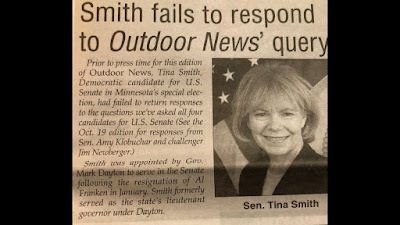 Tina Smith isn’t a lock by any stretch of the imagination.